In April, we will keep our busy schedule by attending Wan Summit NYC and Channel Partners Las Vegas, which are two of the biggest and most important events around the world for telecom companies. 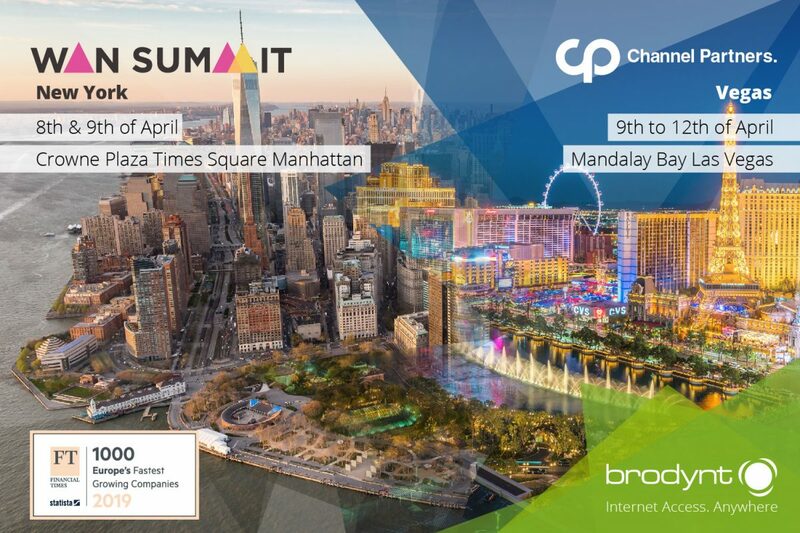 Channel Partners Las Vegas is the largest event for Agents, MSPs, VARs, Consultants, Integrators & Service Providers, whereas WAN Summit NYC is attended and sponsored by big IT players like Riverbed, Cisco, GTT, Juniper, Orang, China Telecom and more. Joseph Goodyer, our Managing Director Americas who recently joined our company, will be there alongside with our Co-Founder Marc Mateo and Jofre Béjar, our Procurement Director.